On May 21st, I was gratefully voted in as a Bernie At-Large delegate by our Florida District Delegates and was humbled to be recommended by the Bernie campaign. I am so honored to be able to serve Bernie as well as all those who support him in the 2016 Democratic National Convention. I will be fighting hard for his nomination, his platform and anything else Bernie instructs us to do. The money raised here will go towards hotel costs of 5 nights in the Florida designated hotel in Philadelphia, PA.
Any support you can give is greatly appreciated. Thanks in advance, Go Bernie! I want to thank everyone who made my trip to Philadelphia possible. We were not welcomed, but we worked hard and fought for Justice every step of the way...sorry we could not pull off the nomination. We had a powerful two days at the Democratic Platform Meetings and impacted the platform the best we could being the minority. Even as the minority, both the Bernie committee members and the Bernie supporters (me) in the audience we won many progressive amendments. 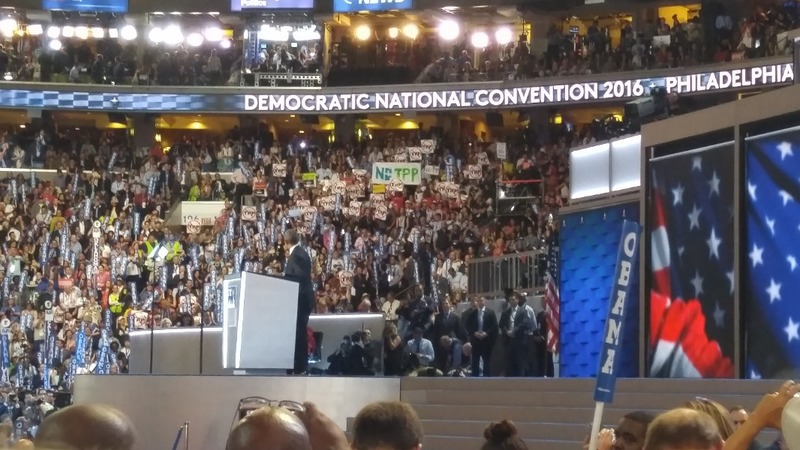 Only 1 of our 4 big ones passed however and its critical that we, as delegates, finish this work on the floor on the DNC. 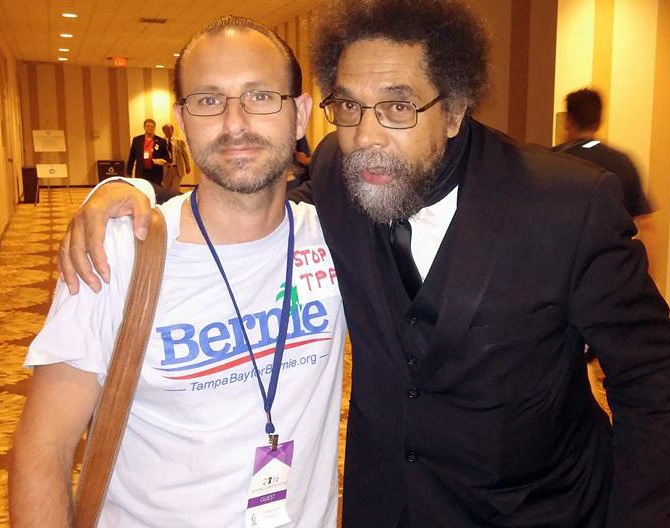 Please help me bridge the financial gap so we can Stop the TPP, Ban Fracking and Enact Single Payer "Medical for All!" Dr. West and I at the Platform Meeting! Thanks for a the new donations! I am just shy of my goal. Any amount helps me get there! This is JUST to cover the room designated for Florida Delegates. I am 2/3rds of my way to my goal for hotel expenses, thanks to everyone who have generously donated! This is allowing me to focus on both the phonebanking to get more delegates as well as work on our planning for the DNC where I will fight as hard as I can to get Bernie the nomination! Please share with your Bernie friends so I can reach the remainder of my goal...even $10 adds up, as Bernie has shown that his average contribution of $27 over so many donors have allowed him amazing amounts of fundraising for our campaign! 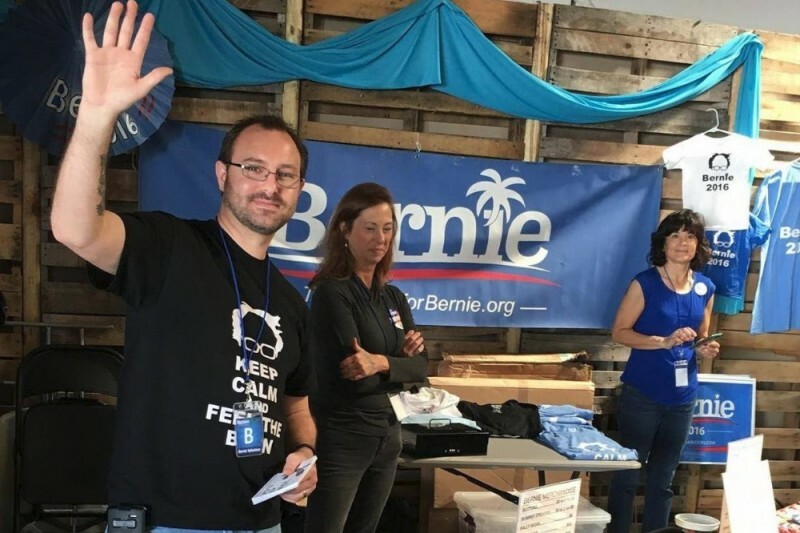 I am attaching a video showing highlights of our year of organizing for Bernie, made by Guillermo Novoa...enjoy! Amos, I hope this helps! Good luck man.